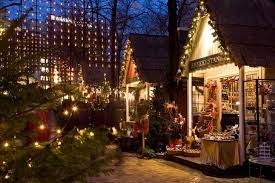 That’s the reason I am going to Copenhagen for a long week-end to see Jul-i-Tivoli (Christmas at Tivoli) here is a picture of said. What I can see is that they have really changed the way its displayed. When I went some 15 years ago it was just a couple of stands/huts but now! It’s a proper money spinner (and why not). I am really looking forward to it, as its been 3 years since i last was in Denmark. As usual 1st stop is Pølsevognen (sausage stand) at the airport. Then pick up the rented car, and drive north toward Frederiksund, where we will be greeted with hot pancakes. Yummy, yummy.